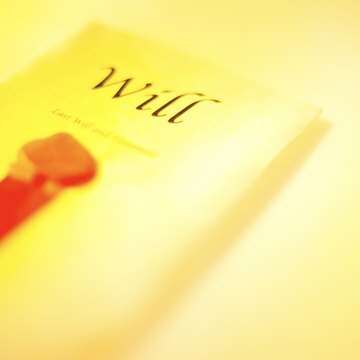 A will leaves instructions to be carried out after you are gone. Usually, these instructions involve which people or charities should receive your property. In California, you can also use your will to name an executor to carry out the will's instructions, a guardian for your minor children, and the beneficiaries who will receive your personal property, financial assets and real estate once you are gone. A living trust is a trust you create before your death. Property you put into the trust is managed for the person you name as trustee on behalf of those you name as beneficiaries. Living trusts provide a way to pass property to the trust's beneficiaries when you die without the need for a will or the probate process. In addition, you can use a living trust to ensure that someone you trust will manage your assets for you if you become incapacitated, even before you die. California law allows residents to use both a will and a living trust together if they so choose, according to the California State Bar. One benefit of using both is that the will allows you to name your executor and a guardian, which the trust does not do, but the trust allows you to pass your property directly to your beneficiaries without going through probate, which the will does not do. One situation in which combining a will and living trust may be helpful is if you have young children. In this case, the will names the children's guardian, while the trust provides funds for the children's care or for future expenses like a college education. Living trusts are not always necessary for California residents, but they are often sold to those who don't need them, according to the California Attorney General's Office. Seniors, in particular, are vulnerable to purchasing a service that sets up a trust for them. Often, those who perform this service then use the sensitive personal information obtained to sell seniors other products they do not need. If you or a family member is considering a living trust, consult an experienced California attorney to ensure the trust is an appropriate option. California State Bar: Do I Need a Will? California State Bar: Do I Need a Living Trust? California State Bar: Do I Need Estate Planning? Wills must meet certain standards to be valid. The person making the will, known as the testator, must be at least 18 years old and of sound mind. The testator must appoint an executor, provide for the distribution of his property after death, and sign and date the will in the presence of witnesses. Within these and certain other limitations, however, you can draft a number of different types of wills. Seek the help of an attorney when selecting which type of will is most appropriate for you. Also, keep in mind that state laws for the execution of each type of will vary and should be checked thoroughly.